The Narak Kong Shak (Stirring the Depths of Hell) is a ritual used to confess one’s unskillful actions, atone for them and recollect the primordial purity and enlightened nature of all experience. It begins with an invocation and homage to the assembly of Buddhas, Bodhisattvas and Yidams (meditational deities) and their retinue. 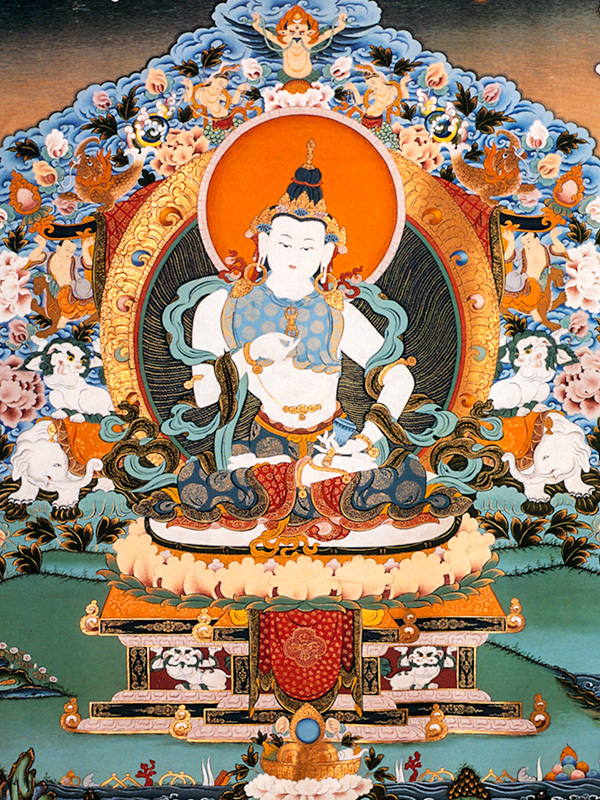 One then proceeds to recollect the various vows of the Mahayana and Vajrayana and confess any breakage thereof. Following that, one goes on to liturgically recollect the highest View, purifying one’s tendency to fall back into samsaric states of mind. If done properly, this is the highest method of confession and means of atonement possible. This is followed by a Ganachakra (see above for what to bring), and ends with an offering of lamps (tea lights are used for this) to the vast assembly of enlightened beings.